When a visitor walks into your office the first place they encounter is the visitors’ or the waiting areas of your work place. And yes your guests notice what they’re sitting on. It not only creates an initial impression about your company and its work culture, it also tells them how important you are for them. Therefore it is of prime importance that the guest seating area in your office is done with proper planning in terms of aesthetics as well as seating comfort. This is critical especially when you have high profile guests, clients, new customers and stakeholders visiting your office. You want to make them feel as comfortable and at ease as possible. You not only want them to feel welcome and important but also well looked after. Following are some pointers towards what you should consider when planning your office reception and other seating areas where guests will be entertained. Before planning your guest and visitor seating areas you should first and foremost identify the types of visitors your office will be hosting. What kind of visitors you expect? What will be the purpose of guests visiting your office? Will they be sitting for long periods of time? Will they be attending meetings? Do they require to roll their chairs around? How many visitors would be there at any given point of time? Can the be seated in the same area or you need to create separate area for different kinds of visitors. Once you have decided and considered the above points you want to plan the look of the area in general. The first glance of your guest seating should define your company and its values. Its a good idea to let them subtly experience your brand while they wait. If your guests are your future customers you may have already begun the process of turning them to your favor. You may have converted them even before making any sales pitch or presentation! 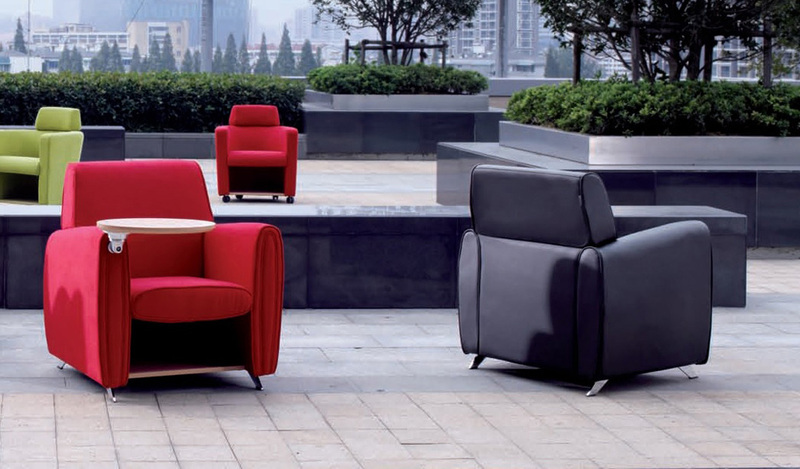 The second most important aspect, after the aesthetics, is of visitor seating is comfort. Go for physically comfortable options while choosing guest seating. A comfortable guest is likely to be more positively inclined to do business with your company. Also, what matters is the end purpose of your guest visiting your office. Identify it, and then proceed to style options to find better and best suitable options. Say, you’ve a client in your office for longer project meetings. You’ll accompany them to guestrooms, conference rooms or meeting rooms. That’s great! But, for such areas, choose a high back chair that supports head and neck comfort for longer meetings. Apart from being elegant the high back chairs are also a great for your employees who need to take time for discussions and go through the paperwork. For a moment of relaxation, larger areas such as lobbies, hallways, and nooks are a perfect choice. Use a sofa with a pair of guest chairs with occasional tables for these areas. 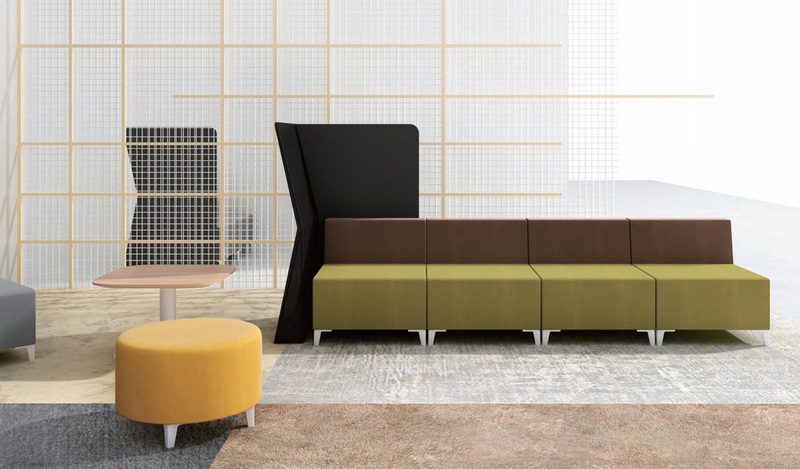 Long L-shaped and U-shaped seating can also be considered for the hallways and lobbies. 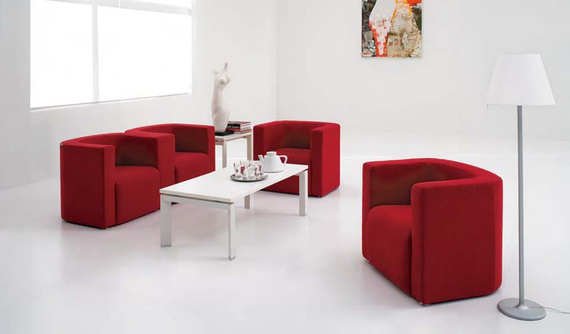 You can add some colors to your seating but in general its best to go for what complements your work space the most. You can use different materials like leather and fabric depending on your budget and the interiors. Another important aspect when choosing your office sofas and visitors chairs is to keep in mind the empty space; the seats should sufficiently fill an empty space while leaving enough moving space. 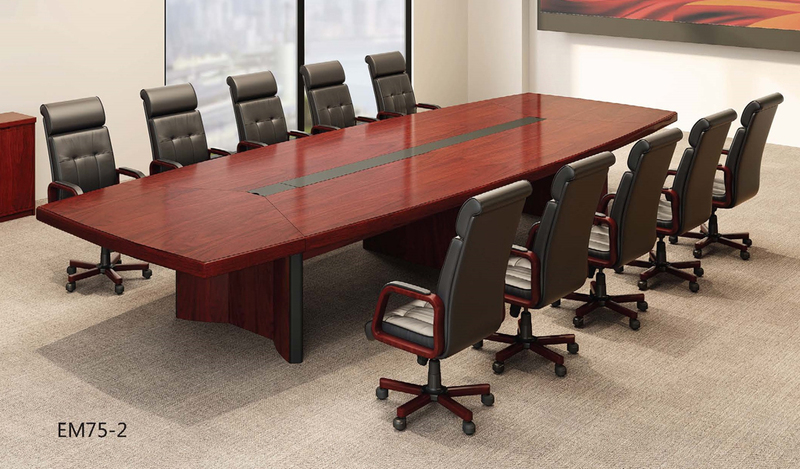 For short duration client meetings like in an executive office – it boils down to firm comfortable seating. In such cases, guest seating should be ‘one size fits all.’ And the most ideal and lightweight seating is one with a fixed sledge base leg. A sledge base light weight chair with a cushioned seat helps your guest to seat in comfort and also move the chair during a discussion. A breathable mesh back chair is a great option for such a requirement. 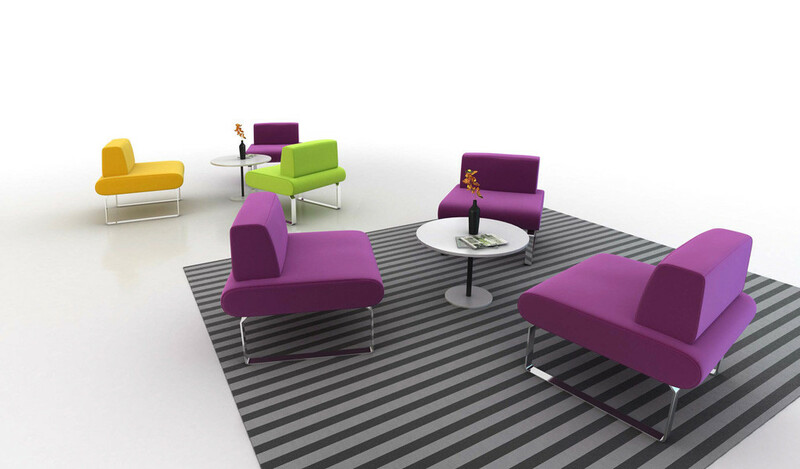 For some casual seating areas consider curved or rounded back seating which reflects a modern business work culture. Here you can go for bright colors to make your guests feel the freshness and energy of your work place. The fresh and vibrant look will let your guests know that you’re in a dynamic environment. Also, do not feel afraid to add a sense of play and fun in your casual seating. Give a modern twist by using bright colors like yellow, purple. It will leave a rich impact on your guests. You can use a modern designs with open back, rounded back with side tea stands. Go for metal seating legs to provide a clean line to the seating architecture. The simple way to impress every visitor is to provide guest seating in every corner and in all open spaces. 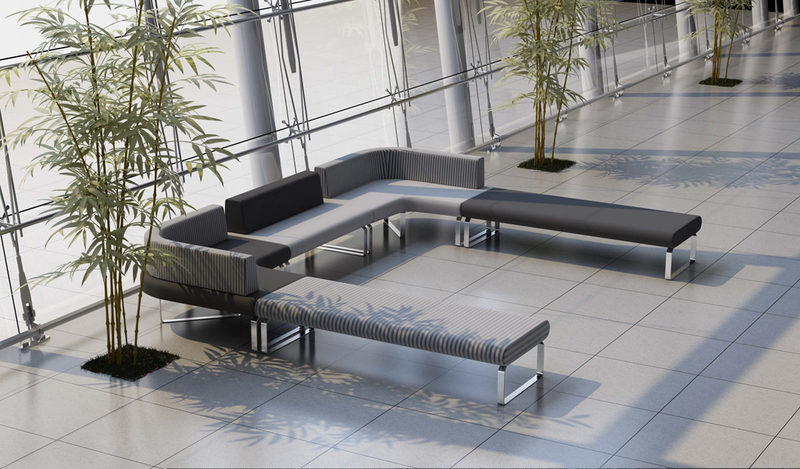 Give a new look to your work space by providing guest seating in garden and walk areas. It will help you catch more and more people positively inclined to do business with you. 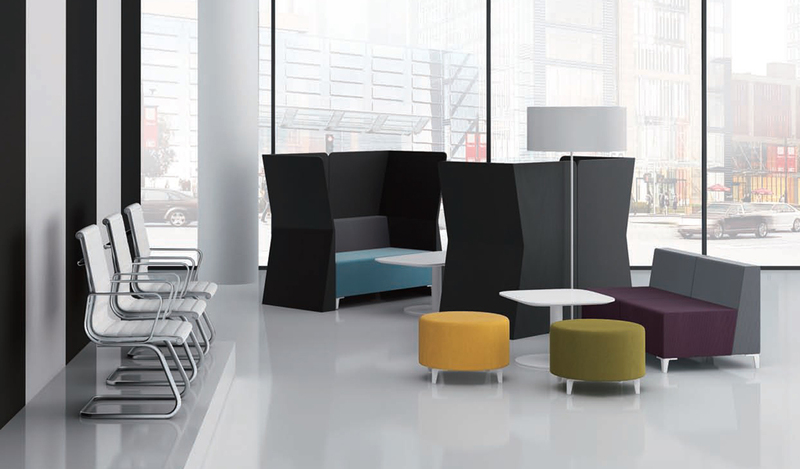 Thus giving importance to the concept and planning of your guest seating will infuse your office with the right vibe. This, in turn, will make your clients, stakeholders and business partners feel welcome, happy and comfortable to work and establish business relations with you.